Bank Tracker Bot - Scam or Not? Bank Tracker Bot - Scam or Not? The binary options market is one of the most attractive in the capital market. The seductive strengths of binary options are based on the idea of making money in a relaxed way from home along a regular job. The binary options market is highly entertaining, and traders have a lot of fun especially if they are on a winning streak. The market is risky, edgy, and volatile, which means that each trading experience can turn into a real adventure. The only setback is that regulators have a hard time to track down the various fraudsters. The latest trend is selling options robots which are advertised all over the internet and promise more than they can keep. Bank Tracker Bot is also one of such robots which sounds too good to be true. Well, some traders, even when they are aware of the different scams, sometimes decide to give it a try and test the options tool at high costs. In order not to fall for Bank Tracker Bot, we prepared the review below to identify the status of this robot, scam or not? What Is Bank Tracker Bot? Let us rewind to the very beginning of the story with the founder and his friend. All of the robot stories sound similar with a dramatic outcome that changed the life of the founder. 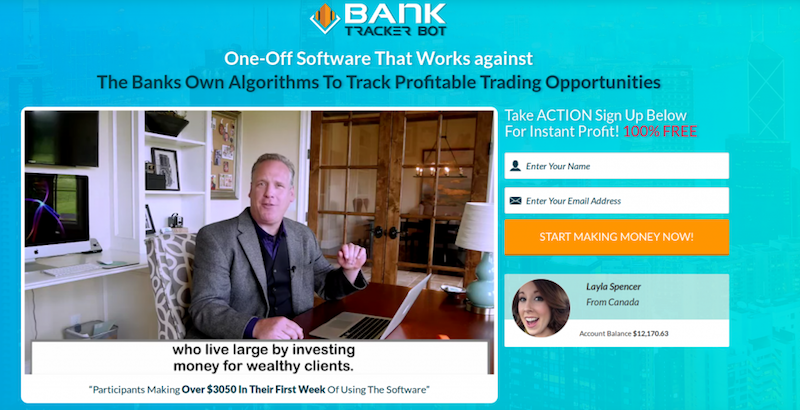 The founder, Steve, calls his former high-school friend Michael George and askes Michael to invest in his new tools called the Bank Tracker Bot. After long negotiations, Michael tried out the tool and won a lot of money multiple times. A person who has never traded a day in their life and who has no clue about options trading suddenly turned to a successful trader with the help of this robot tool. This story alone sounds unbelievable. The presentation video (where Michael takes the role of the presenter) is also distracting the attention from the important things. Michael seems to be more concerned to show off his Maserati and brag about his 25-year old wife than really to talk about the robot’s performance in the video. Well, he does talk about his profits and earning $6000 in the first couple of months. He clearly states in the video that no knowledge, no education, no trading strategies are necessary to earn the big bucks with binary options. When your common sense tells you that this is not possible, then, better believe it, because it is not. Mr. George also claims that you only need two or three hours a day to make this kind of money. The presenter claims that the robot is free, but you will probably be required to deposit a certain amount after you register. The video is highly suspicious to us, and we do not believe in Michael’s story because he does not provide enough information on the approach of the robot and how the system works. The only information on the robot we have got is as follows; according to the presenter, the Bank Tracker Bot operates on a system which monitors the bank stocks. According to the developer, it is easier to follow and crack the code to bank stocks since they are less volatile. Even if this story does not make sense, the inconsistencies in the story get even worse. Namely, Michael claims that the software is not processing data or making market analyses, which raises the question how does the system work then? We also have to inform you that the Bank Tracker Bot trades only currencies and not bank stocks as the inventor claims. Traders should be aware that no one can win money in any industry they are unfamiliar with; a trader simply has to know the market to know how to act, and there is no machine that can change that. Final Conclusion: Is Bank Tracker Bot a Scam? The Bank Tracker Bot is simply a scam which becomes most obvious thanks to the inconsistent story of the presenter. Scammers always tend to come off as successful millionaires which should distract traders from the real deal. Also, their explanations about things that matter are very limited, inconsistent and confusing. We call upon all options traders not to fall for any of these tricks. Bank Tracker Bot is just one of the many scamming inventions which will deplete your account balance. Consider yourself warned against Michael George and his imaginary friend Steve and their Bank Tracker Bot creation. 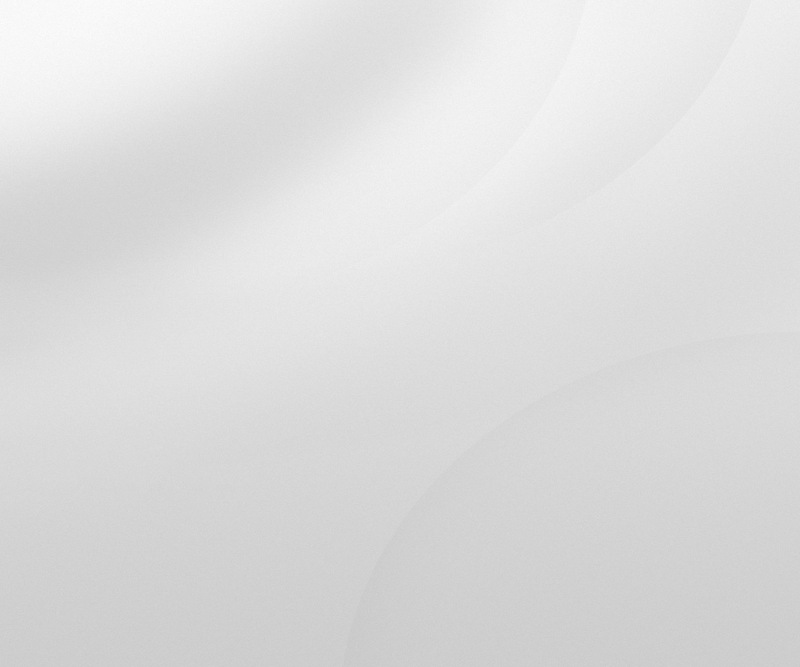 Binary Minery review: Bank Tracker Bot: 1 stars.